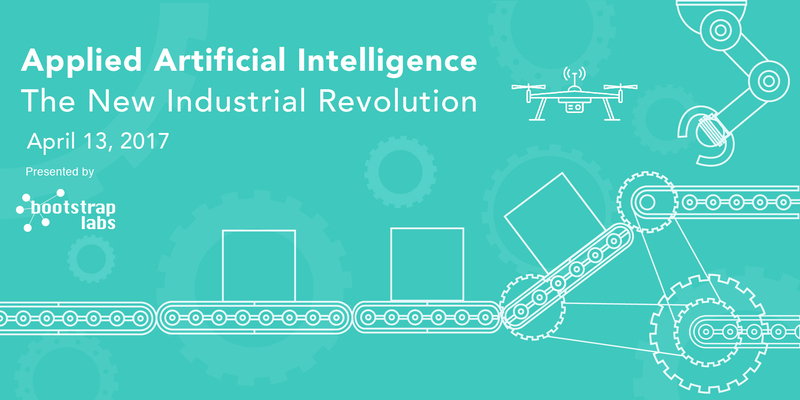 BootstrapLabs is thrilled to announce the Applied Artificial Intelligence in the New Industrial Revolution. With the AI market projected to grow over 20 fold in the next 10 years, to $3Tn annually, we believe Applied Artificial Intelligence represents one of the major wealth creation opportunities of this century. The power of AI will ultimately empower humans to work closely with robots, and bring us to the new age of collaborative systems that can operate side by side with humans. Learn more about the Agenda at this link. Attendees of the Applied Artificial Intelligence in the New Industrial Revolution will receive a special discount for the Applied Artificial Intelligence Conference 2017.